Our keynote speaker Andrew Castle has had great success in the world of sports but has also made a name for himself as one of Britain’s most popular and experienced presenters. He brings professionalism, knowledge and expertise to any presentation. 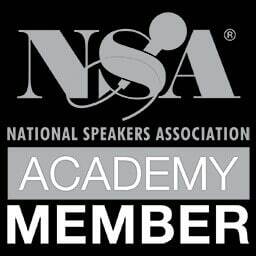 He is the ideal choice of speaker for corporate events, conferences, after-dinner speaker, or awards ceremonies. Experience a true professional. 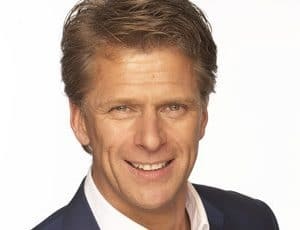 Andrew Castle is one of Britain’s most experienced live presenters in broadcasting, having occupied the famous GMTV sofa as an anchor for ten years before the rebranding in 2010. During this time, Andrew had the opportunity to interview everyone from Tony Blair to Joan Rivers, David Cameron to Vera Lynn, the Rolling Stones to Miss Piggy, and Tom Cruise to Jordan. Andrew is equally skilled at grilling politicians and conversing with Hollywood starlets. Andrew was formerly Britain’s Number One tennis player and he turned professional in 1986 after completing a marketing degree in the USA. Andrew is a double Olympian, having been a member of Great Britain’s Olympic Teams both in Seoul in 1988 and Barcelona in 1992. Andrew’s great sporting success made him more than qualified to become a presenter for some of the world’s top tennis tournaments. Andrew’s first role as a presenter was as a co-presenter with Sue Barker at Sky, and presenting numerous golf and tennis tournaments including the U.S. P.G.A. Tour, European P.G.A. Tour and the 1995, 1997 and 1999 Ryder Cups followed. Since 2003, Andrew has worked alongside John McEnroe, Jimmy Connors and Boris Becker at The Championships, Wimbledon. In addition to his BBC work, Andrew commentates for Eurosport on other major tennis events including the French and the Australian Opens as well as equestrian events. He has a regular tennis column for the Metro newspaper which draws upon his insight and knowledge of the game. Most recently, Andrew has appeared across the Sky Sports network, reporting all the tennis action from the 2011 US Open for “Live US Open 3D” and “US Open Highlights”. 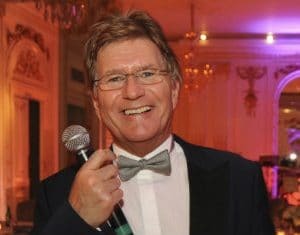 Aside from Andrew’s TV and Broadcast career, he is also a very popular choice for After Dinner speaking, having hosted numerous leading national award ceremonies for clients such as Abercrombie & Kent, The Sunday Times, Learning & Skills Council, Ariel and the NHS. In 2011, Andrew teamed up with First4Lawyers to appear in an advert for television which was shown on selected channels across the nation. This project complimented Andrew’s regular presenting commitments and further extended his reach into the corporate sector. Andrew is married with two daughters and lives in South London. Successful ex-pro tennis player and former British No.1. Wimbledon Lead tennis commentator including Men’s Final. Respected Sports Broadcaster for BBC and Eurosport. Longstanding and respected GMTV presenter. 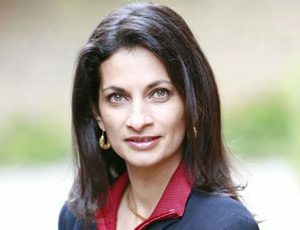 Sports commentator for Radio Five Live. Co-presenter with Sue Barker at Sky. Contestant in Strictly Come Dancing and 71 Degrees North.